Filipinos are a really happy bunch of people and nobody personifies that more than “Little John”. No, I didn’t give him that nickname. He made that up himself. I didn’t even know the team called him “Little John” until he wrote this blog post…hahahaha. I found John by browsing the resumes at OnlineJobs.ph. Turns out….he’s better than I thought he would be. Allow me to start with a brief introduction of myself. My name is John; well…the team addresses me as Little John to do away with all the confusion with our big man John. I’m 22, a nurse by profession but have none the less no more intention of going back to my medical roots. I was introduced to onlinejobs.ph by a friend who pitied me for complaining about my stressful job as an English Language Trainer for a call center and I’ve been working for John for more than a year now and have worked a very happy and productive year. As a little present for John (and perhaps for all the readers), I’ll be revealing some things most outsourcers don’t know. 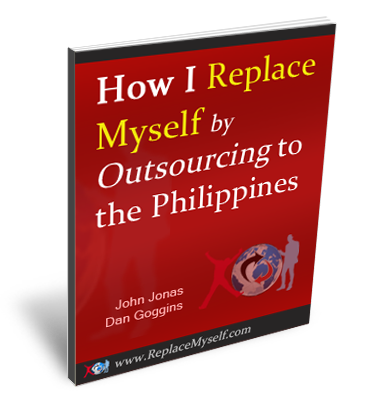 Outsourcing is one job that has changed lives of many Filipinos. Needless to say, it has broken a lot of barriers starting with the cultural barrier wherein someone from the west works together with somebody from the tropics. Though cross-culture working relationships may sound awesome or cool or whatever, the hard reality is that it is never easy. As a Filipino, I am shy and easily embarrassed by nature. I don’t know why, you as the employer need not know why. These stuff cannot be easily changed as I was born with it. The best thing to do if you ask me is to just let me be until I get comfortable with you, my employer. Once Filipinos begin to get comfortable with their employers, they start opening up their feelings and start telling you how they really feel about their jobs, their tasks, their workload…. you name it ! If there one thing employers should know and understand, majority of job seekers posting lower salary expectations are novices in the business. That said, expect to have your employee trained by you which I bet isn’t that hard. Judging from experience, I learned most of the basics and more by self-learning. I initially was looking for a writing job but found that managing a website or two is way more awesome. On the flip side, most who declare higher salary expectations are those with extensive experience. Well as a matter of fact; these guys actually do know how much they are worth. I have had my shares of frustrations while on the job. Not getting the job done or not meeting the expectations of John and the rest of the team is one. Despite appearing rather unpressured, I have been pressured because I find myself responsible and accountable for the tasks I am working with. I started out shy and kept questions and problems to myself. Sad thing is, I felt left out and even got more pressured. Itâ€™s a good thing John and the team allowed me to open up and helped me become closer with them. In turn, I found myself more productive, more involved and more confident with what I do. Having been instilled from the very beginning to ask when in doubt, I took the advice to my advantage whenever Google failed me. If there is one thing I am proud of and would actually find pretty neat if all employers did the same, is that John actually acknowledges the fact that as humans, we too deserve breaks in order to become productive. Recognizing that attention may actually diminish after long periods of concentration is something we Filipino’s would appreciate if our employers had. Accepting the fact that from time to time, in the middle of our work, we browse Facebook or Twitter or read the latest gossips is pretty important as we are not working in an environment where there are people beside us we could share a giggle just to break the ice. I have tendencies of writing too much and I guess John knows that (I sold myself into having him hire me because of my lengthy mails) reason why I am cutting this post short. I have a whole lot more to tell but would rather give the space to my team-mates to share their own slices of cake. Having to guest blog for John is a great honor on my part. Not everyone is given such an honoring experience. If you have a workforce in the Philippines, I suggest you give them this opportunity too. Iâ€™m sure theyâ€™d have smiles as wide as I have as I am writing this. My name is John. I have control over my time. I work at home. I have a job I enjoy. Outsourced and happy. J has worked for me for about 3 months. She has created an SEO and content plan for ReplaceMyself, OnlineJobs.ph, and my blog. She has also written lots of content for all 3 sites. When you read content she wrote, you’ll never know I didn’t write it myself! A lot of Filipinos believe that you can only find success when you leave your family and work somewhere far away, either abroad or in the main metropolitan cities in the Philippines. It’s common to find a lot of Filipinos workers who willingly endure loneliness and depression just so they can provide for their families. This was the situation for me and my family up until 3 years ago, when I found myself a job through a website that caters to companies that outsource to the Philippines. Three years ago, my husband and I came at a crossroads. We were going to have a baby. We knew that even with the jobs we had we still wouldn’t be earning enough for the new addition to our family. And we really wanted this baby, we wanted to be with her as much as we could and see her grow up. We knew it wasn’t possible with the two of us working long hours and the long commutes we had to and from work. Thankfully, I discovered outsourcing, the answer to my prayers. It was actually my sister who introduced me to outsourcing back in 2009. I had a regular job as a medical information analyst in Manila and was looking for ways to earn extra money without having to leave home. She knew that I was a pretty decent writer so she suggested that I post my resume on bestjobs.ph and onlinejobs.ph. I was able to find work as a freelance writer. Through those sites, I was able to supplement my income whenever I needed to. 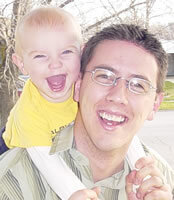 I started working fulltime as a writer/editor in 2010, when I had my baby. I could have easily gone back to work as a medical information analyst but chose not to. I didnâ€™t want to spend 4 hours a day commuting to and from work. I didnâ€™t want to come home from a 12 hour workday (plus the 4 hour commute) bone tired and unable to take care of my baby. I didnâ€™t want to wait for the weekend just to spend time with my husband and daughter. 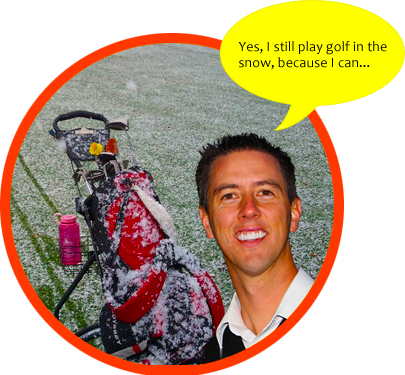 John Jonas constantly talks about how outsourcing can help you by giving you more time to do what you want. What he doesnâ€™t say is that outsourcing your business to the Philippines also gave us Filipinos more time for ourselves and our families. Sure, we still work 8-10 hours a day but we get to spend those hours at home. We get to adjust our work hours to suit our lives. With outsourcing, I have a fulltime job and still am a fulltime wife and mother. I even have time now to indulge a few hobbies (cooking and crafts) and help out in the family business. In addition to having more time, I also have more money. I may not be earning as much as I used to as a medical information analyst but Iâ€™m also not spending as much. When I was working in an office in Manila, a third of my income would go to my work-related expenses like fare, food, and office clothes. Now, most of my income goes to my family because I donâ€™t have to spend for those things. Iâ€™m not saying that my experience with outsourcing is completely without problems. Sometimes, I miss dressing up for work and meeting co-workers in person. And at first, it was hard for me to focus on work, especially with the distractions at home. I had to discipline myself and set some boundaries. I even got a nanny so I could dedicate some time for work. But the great thing about this set up is my daughter still knows Iâ€™m with her at home and Iâ€™m still there to cater to her needs. Her nanny is more like a companion and a playmate, not a substitute mom. It was also a little odd for me at first to have an employer who wasnâ€™t constantly hovering over my shoulder. That was what I experienced working in an office. Now I appreciate it. I canâ€™t believe how much Iâ€™ve learned and grown these past few months. And Iâ€™m really humbled by how much John trusts my work and ideas. He really respects us as employees. Iâ€™ve encountered Americans and Europeans before when I worked in Manila and a lot of them talked to me like I was stupid. It was really refreshing to find an American who actually respected my intelligence and talked to me as a professional. And probably the hardest thing about my outsourcing job is that I really donâ€™t get the same respect as I used to get from some of my fellow Filipinos. A lot of people donâ€™t take my work seriously because I donâ€™t wear a suit and I work at home. Despite the fact that Iâ€™m a good writer and am now training as an SEO specialist, a lot of people still see me as a stay-at-home wife â€œdabblingâ€ on the internet. For those who have already outsourced their business or are in the process of outsourcing to the Philippines, I want to thank you in behalf of the Filipinos who are working in this field. Working for you has allowed a lot of us to have a challenging career and a earn enough for our families. Youâ€™ve changed not just your employeesâ€™ lives but the lives of their families, friends, and loved ones as well. Coming from a culture where most people believe that success can only be found by leaving our families and working abroad; outsourcing has redefined success for us. With outsourcing, Filipinos like me were able to define success on our terms: we can stay in the Philippines, be with our families, have a challenging career, and earn enough to have a comfortable lifestyle.